Somehow I keep winding up posting in the wee hours of the morning following these events. Eternal Weekend has ended. The event was very engaging and as a Magic fan I did really enjoy the atmosphere. 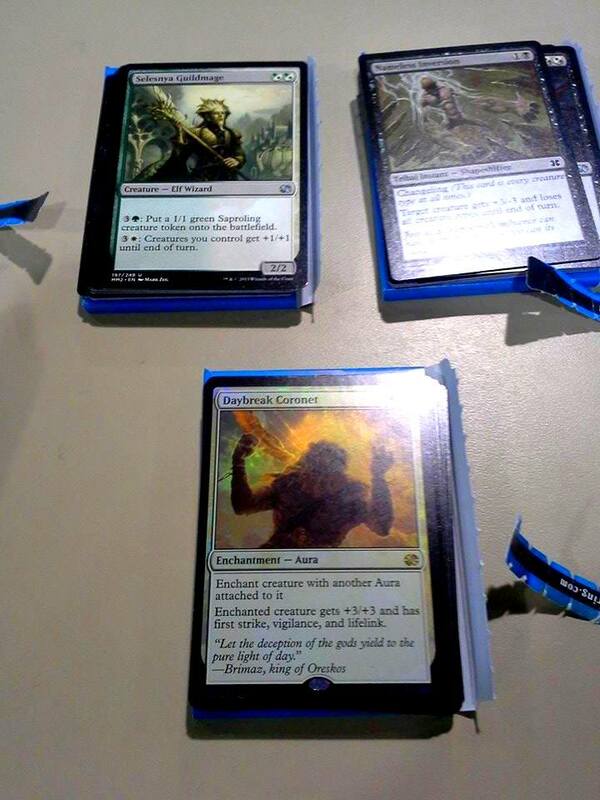 Nameless was Pack 1, Guildmage pack 2 and Daybreak pack 3. I think my deck was decent, but I lost in round 1 to Green White Metalcraft. The Eldrazi Conscription is replacing the Daybreak Coronet in Bruna, which I’m going to sell alongside the foil one I pulled. In addition I traded in all the pieces of my Sultai Whip deck to reduce the cost even further. This deck alongside my Ensoul Artifact deck both have been sold (due to the upcoming rotation). 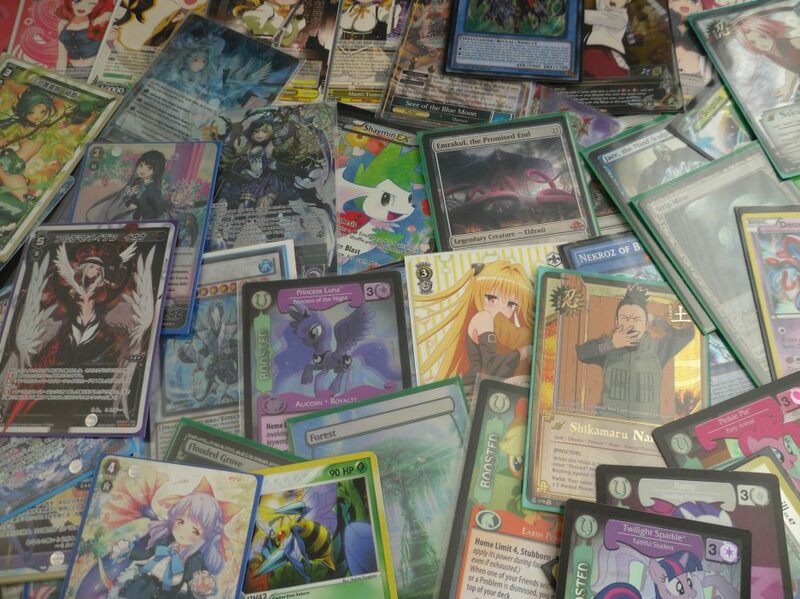 Anyway, after that I went home and proceeded to play Force of Will pretty much all night with a few Yugioh/EDH breaks. We played multiple mirror matches and ultimately conbined our red and white starter decks to see who could make the better build. It was a lot of fun. 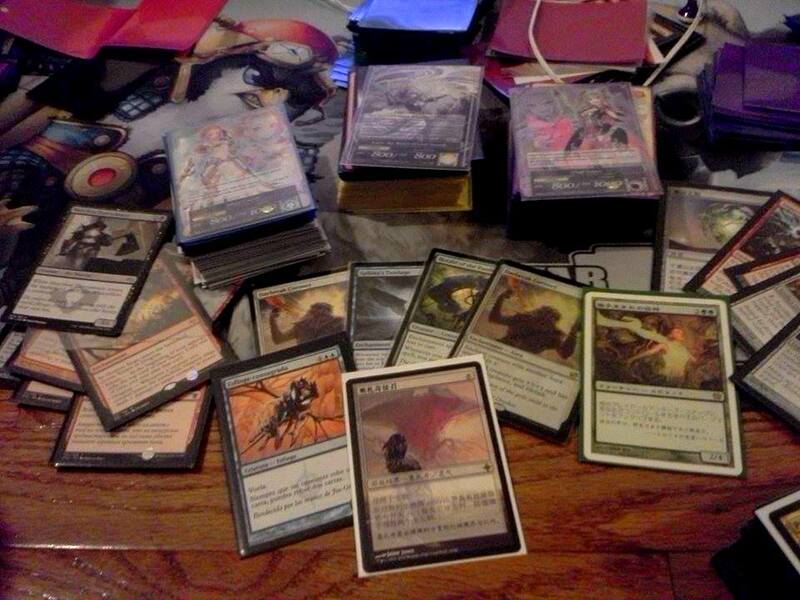 I also started trying to build my own decks from the pieces in the Vingolf box (also pictured above, again sorry for the awful phone camera image). So my deck-building spark is burning for Force of Will. Now that I have a playset of Abbots for Standard I’m going to bet on BFZ (Battle for Zenidar) keeping Mono-Red viable. Otherwise I’ll sell them. In the meantime Clownblade (or as I like to imagine it Dennis Macfield with friends) is the last Yugioh deck I plan to build for a while. Force of Will is new and engaging and I hope to build/improve my decks as soon as possible. Next > Why did we buy a box of Force of Will? What’s going on here?